This is now my third year of living in Southampton whilst at university, and I’ve been vegan for (almost) the entire time I’ve been here. Being a student in this city has meant I’ve had ample opportunity for sampling everything it has to offer vegans. 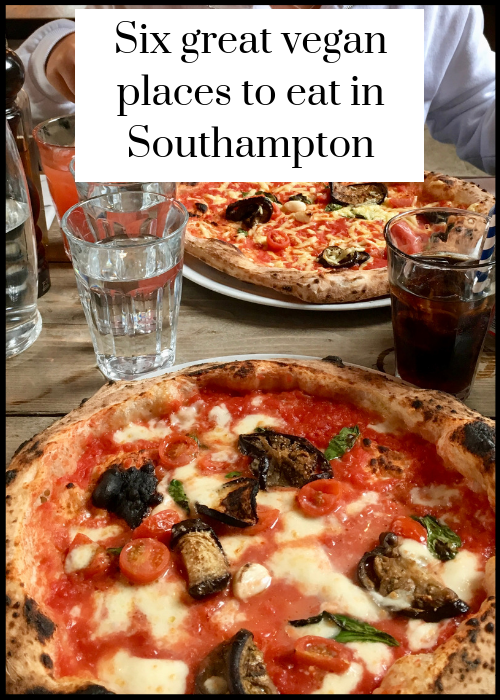 Along with the classic British chain restaurants that easily cater to vegans (Zizzi, Tortilla, Nandos, Franco Manca), Southampton also has some great, more independent food places that have amazing vegan menus. 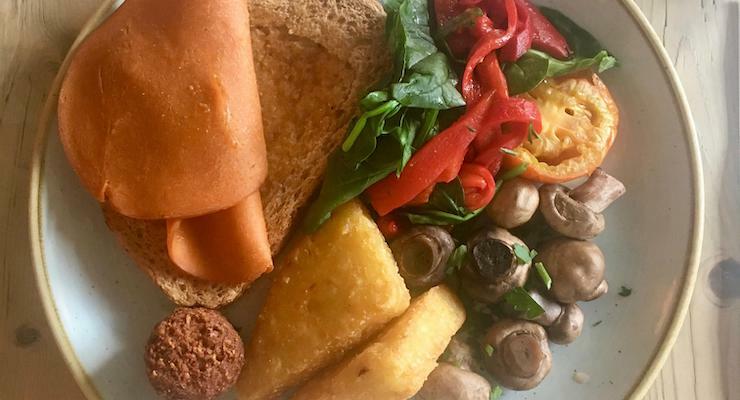 Southampton’s only fully-vegan food place, I’ve probably spent about half my student loan in Café Thrive. 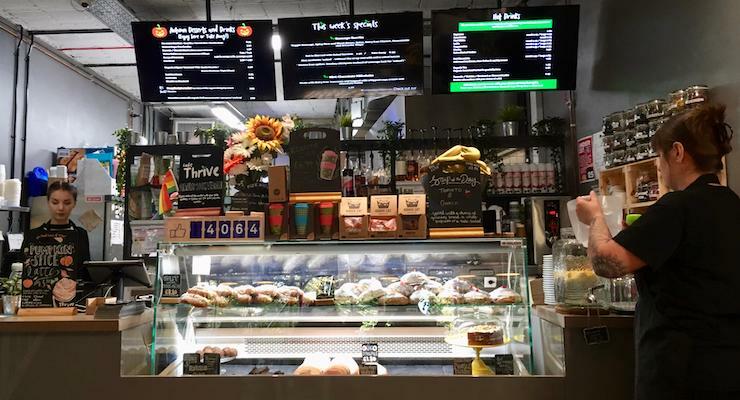 They sell everything from breakfast and burgers to sandwiches and salads, as well as a variety of cakes and sweet treats – their brownies are amazing! They serve some delicious vegetable-based dishes, as well as recreating some non-vegan dishes like chicken burgers and sausage sandwiches. My favourites include the Mediterranean sandwich, with cashew ‘cheese’, pesto, mushrooms and sundried tomatoes; the loaded fries with cashew ‘sour cream’, salsa and onions (they taste just how I remember nachos tasted); and the Wholefood burger, which is just a really good veggie burger. Part of the Loungers chain, of which there are three in Southampton (Trago is the most central), Trago Lounge is a favourite of absolutely everybody I know. My favourite thing is the all-day vegan breakfast, but they do great sandwiches, salads, burgers and even have a couple of vegan cakes. Trago Lounge has a quirky, mis-matched interior, and is good for drinks in the evenings, too. 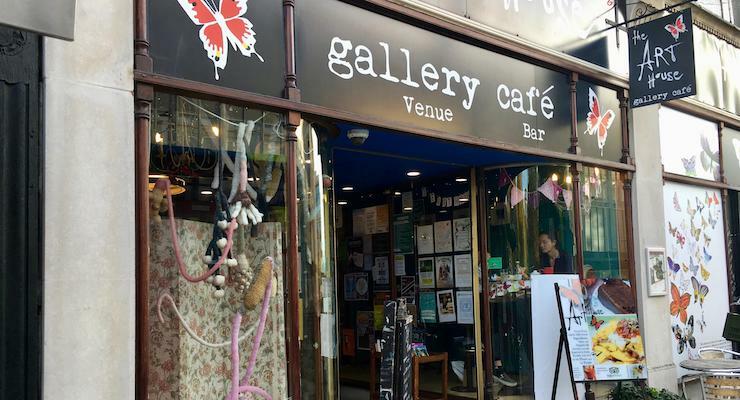 They’re not a vegan food place, but have an extensive vegan menu, as well as separate gluten-free and kids menus. This means that it’s a great place to go with mixed groups of people – the meat-eaters won’t complain, and the vegans and veggies get loads of different options. It’s a win-win. Baffi serves authentic Neopolitan pizza, and is truly incredible. As we’re Italian and have been to Italy many times, I’ve definitely eaten my fair share of proper Italian pizza, and Baffi’s is as good as any. They serve up ginormous, delicious pizzas straight from a wood-fired oven, for a ridiculously reasonable price. 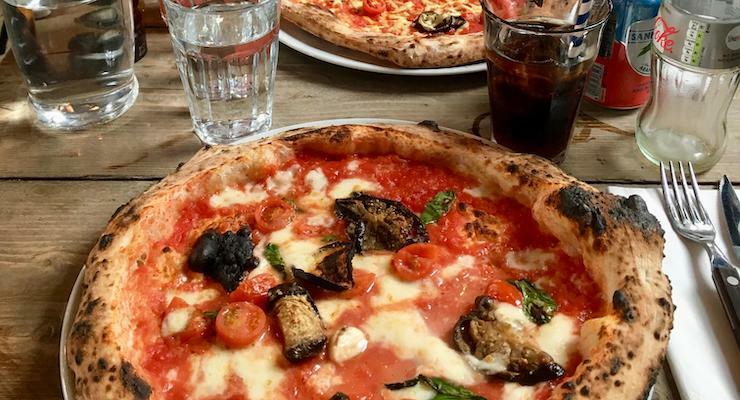 They have one vegan pizza on their menu, but you can substitute the dairy-cheese for vegan cheese on any pizza, free of charge. The Art House is an organic café/gallery, and most of their menu is vegan. At lunch they serve things like wraps and jacket potatoes, and they also have dinner and kids menus. On Sundays they do a very popular vegan roast dinner, which I’ve been wanting to try the whole time I’ve been at uni! They also have cakes and sweet treats daily, many of which are vegan. When Mum came on a recent trip to see me, we went there and shared a lemon cupcake and a slice of chocolate cake, both of which were delicious. A pub with eight great vegan burgers in addition to their normal menu (there’s usually a vegan special or two, as well), The Rockstone is great for vegans and meat-eaters alike. All their burgers are absolutely massive, and come with a very generous helping of toppings and sides. I’ve been here several times and don’t think I’ve ever actually managed to eat everything on my plate. Their beer garden is nice in the summer, too, although it does face the road. A pancake house in the Marlands shopping centre (very near the main West Quay shopping centre), Stakks has both sweet and savoury vegan menus. You can get classic pancakes with just sugar and fruit, or push the boat out a bit more and get ice cream or oreos. Or you can go for savoury pancakes with hummus, or even a vegan English breakfast! No matter what topping you go for, it comes with a generous stack of thick, fluffy pancakes.